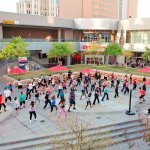 Throughout the last ten years, downtown Phoenix has gone through a revitalization, making it a place many people want to be. 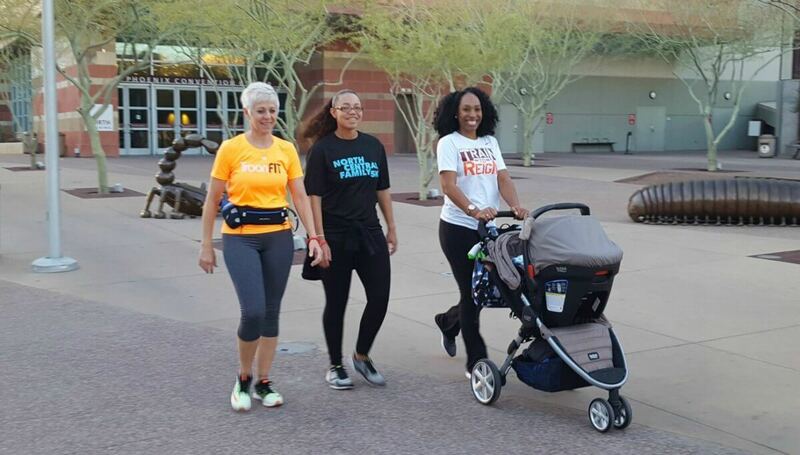 One of the things bringing that spark is an event called Meet Me Downtown Phoenix. 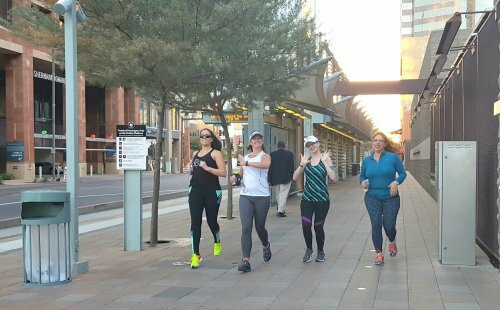 Meet Me Downtown Phoenix is a walking/running event that happens every Monday night (rain or shine) from 5:15 p.m. to 6:30 p.m. It begins and ends at Copper Blues at CityScape, located at 50 West Jefferson Street. The event includes a 3.3 mile walk or run through downtown, plus an additional 1.8 mile extension for those who want a little more distance. The route takes runners and walkers through various downtown parks, neighborhoods and landmarks. 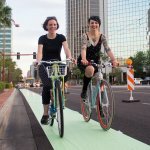 At the end of each event, Meet Me Downtown Phoenix offers a special ceremony for those who participate. The ceremony includes incentive awards and raffles for gift certificates for local restaurants and business like Sole Sports Running Zone, Elevate Yoga and Wellness and more. 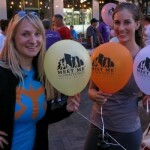 Opportunities are also available for those who would like to volunteer and help the Meet Me Downtown Phoenix effort. Volunteer opportunities include Start/ Finish Line Volunteers/ Route Volunteers and Start/ Finish Line volunteers and registration table check in volunteers. Email MeetMeDowntownPHX@gmail.com for more information. 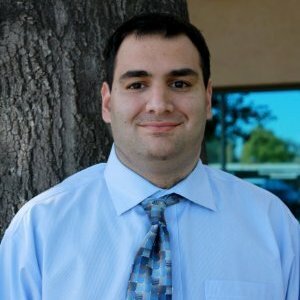 Community involvement and collaboration is what creates vibrancy and culture in downtown areas. I have been a volunteer for the last three weeks and I could see the energy from the patrons who have been involved with this event. 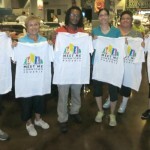 Meet Me Downtown Phoenix encourages meeting new friends and the opportunity to get out and enjoy what downtown Phoenix has to offer while you walk or jog. When you leave Meet Me Downtown Phoenix on a Monday night you will feel energetic and positive because you were part of something special. Photos courtesy of Chuck Padilla.